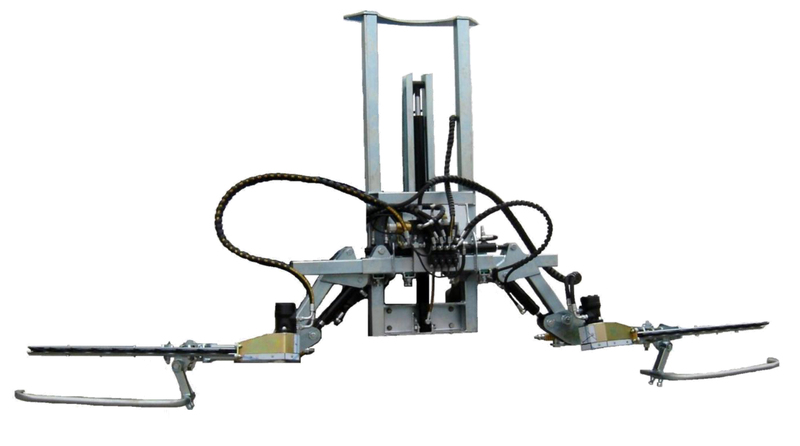 It has a mechanical scanner system, which allows a correct operation without damaging the tree trunk. 900 mm cuts, with independent hydraulic positioning. It has a raising cylinder which raises the horizontal cutting from a mínimum height of 400 mm to a máximum height of 1200 mm. Designed for working on planting of between 4 and 4,5 metres wide. Includes hydraulic opening and electrical command as standard with constant pressure.